Daily Star Bingo | Grab a 200% Welcome! 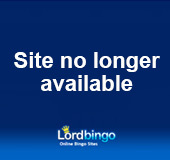 Daily Star Bingo is a new site to hit the bingo podium, sponsored by JackpotJoy Bingo. DailyStar.com offers a welcoming 100% cash match deposit bonus that players get when they first time deposit of minimum £10, giving players a chance to double their deposit amount! Aside from exciting bingo games there are also opportunities to play Slots games, Casino games and Scratch cards with there being over 80 games in total that can be enjoyed. There is a humongous £2 Million that is won at DailyStar.com each day! These lucky bingo players can enjoy winning non-stop, chatting in the lively community chat rooms and winning!